Making an RV camping checklist, whether it's your first time or you're going on the road as a full-time RVer, is really an absolutely must! Create the list at least two weeks in advance so that you can add to it as you remember things and cross items off as they are purchased and placed in the RV. In addition to what you must bring, the checklist should include any maintenance the vehicle needs as well as a complete inspection. 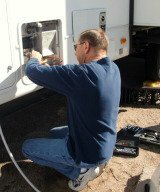 It's a good idea to review the RV camping checklist twice to make sure you did not forget anything. This is important because while you are preparing for your trip, interruptions may occur and you can lose track of what you were doing or fail to notice something important like a low tire. It helps to have a list if you are in a rush since it serves as a reminder for anything you may have forgotten to do or bring. An RV camping checklist contains a number of sections, such as what to do before you leave, items to pack, and necessary pet or sporting equipment. It is generally a good idea to make sure that someone at home, a family or friend, knows where you are going and how long you are staying. It is equally important for you to have a list with emergency contact information and important numbers for the area surrounding your final destination. Before departing on your journey, be sure to check the weather along the entire route as well as credit card and bank account balances. Obtain any travelers checks or cash on hand prior to leaving so you are prepared for an emergency such as a break down and unexpected hotel stay. Depending on the length of the trip, you might have to make arrangements for someone to pick up your mail, water your garden, or feed the fish. Make sure to lock all doors and windows and leave a spare key with someone you trust just in case the alarm goes off or a pipe breaks or any other unexpected events occur. Also, make any necessary doctor or veterinarian appointments and fill all prescriptions. Putting barbecue foods such as hamburgers and hot dogs on the grocery list is not a bad idea. 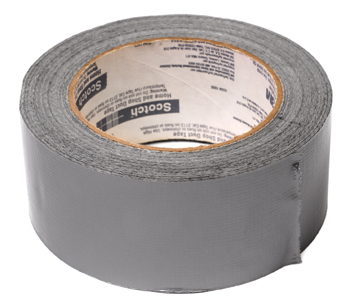 When I first began fulltime RVing, I'd never heard of duct tape, but it wasn't long before I discovered the many uses of this wonderful invention. Since I had an old RV, it seemed I was always reaching for the silver tape. One way I used it was to seal the end of the rear bumper where the dump hose was stored after the cap disappeared while driving down the road one day. These are just a few items to get you started but other items to consider adding to your list are fishing or boating equipment, board games, a deck of cards, bikes, and a portable radio. Once you start making your RV camping checklist, you will have a long and detailed list but dont be so obsessed with the little things that you forget the basics, like chock blocks, bottled water, and all your necessary clothes. Planning will enable you to have more fun with less worry as you hit the road, whether for camping or as a new free lifestyle.